For the most wonderful grandma, mother, wife and best friend a family could ever ask for! 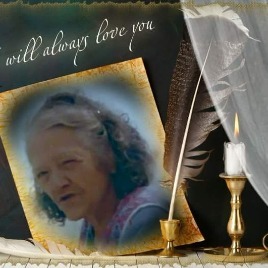 Grandma we love you and miss you more than words can express! We can’t wait for the day we are reunited so we can hug and kiss you and grandpa again! Until that day we will continue to have a hole in our hearts. We love you so much! Healgrief has a memorial to share with you. https://healgrief.org/clara-randall/ We invite you to express condolences, share special memories and photos and light virtual candles to honor and celebrate the life of our loved one. We also invite you to share this with others who may want to be notified as well. You may do so by sharing the link or by clicking the “Share this Memorial” button from within the memorial itself.